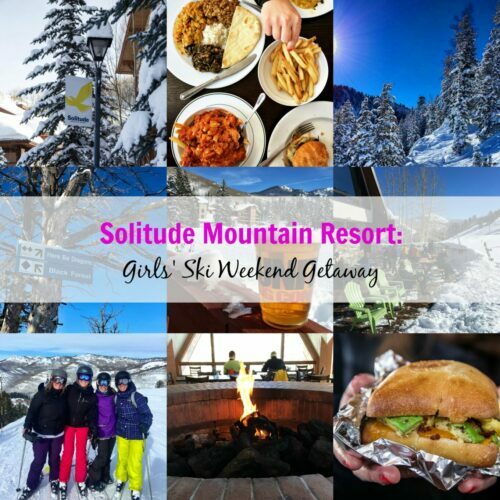 Solitude Mountain Resort: Girls’ Ski Weekend Getaway! 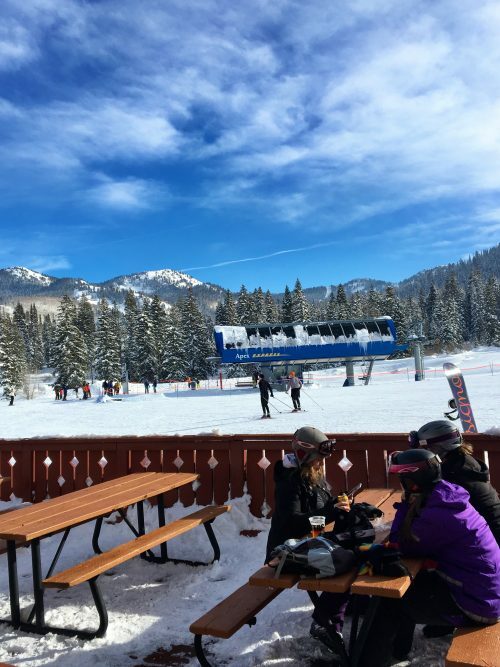 Nestled in Big Cottonwood Canyon, Solitude Mountain Resort is the premium location for a girls’ ski weekend getaway. 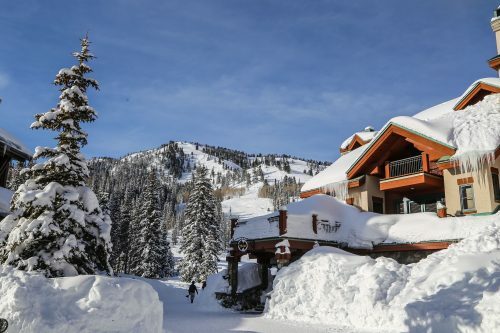 Cozy accommodations, gourmet dining, thousands of skiable acres, and beautiful scenery make for an easy and accessible getaway to Utah! Check out my full guide on where to stay, what to do, and eat! The proverbial question often asked by a gaggle of best girlfriends that want to get away for a quick weekend, sip wine, and chit-chat. Often the answer to this question is a beach destination, as sun, bikinis, and the ocean breeze can never be a bad choice. I don’t know how, but Vegas somehow squeezes itself into the options pool. Anyone seen the movie Hangover? Wineries, spa treatments, or orchard crawling are popular choices as well. But what if I told you to skip all of that? Yes, even Vegas. 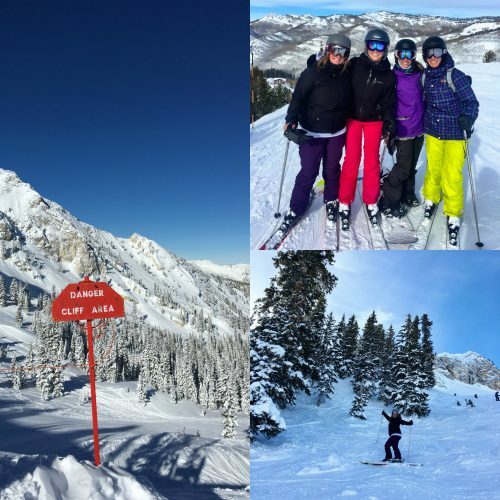 I took the chance to take my best gaggle of girls from Denver to Solitude Mountain Resort (located in Utah) to get away for the weekend. 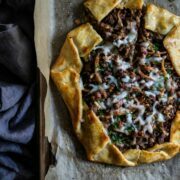 The reason we decided on Solitude is because we wanted a place where we could relax, eat delicious food, sip wine, and of course, ski all in one weekend. 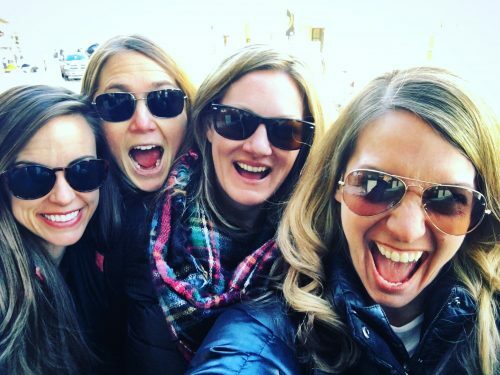 So, follow along because I don’t want you to miss a single detail on why Solitude Mountain Resort is the ultimate destination for a Girls’ Weekend Getaway. Getting to Solitude is rather a breeze. 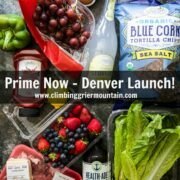 With a quick 45-minute plane flight from Denver International to Salt Lake City (that is the same time if not shorter as it takes to get from Denver proper to the mountains in Colorado! ), we landed eager to hit the road. You can certainly arrange for a shuttle or an UberSki, but we decided to rent a car. Solitude is only a 35-minute drive west of the airport with little to no traffic. We stopped along the way to pick up wine and charcuterie essentials to have at our sanctuary which was Solitude Mountain Resort Lodge. 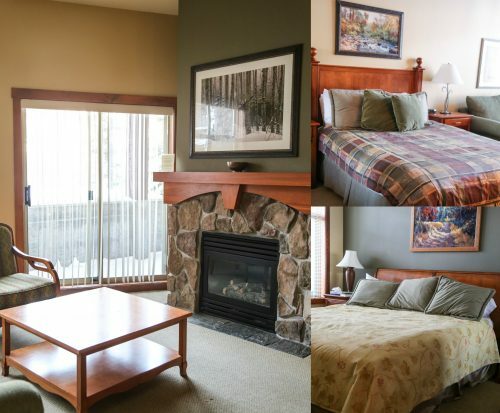 The lodge is located right in the heart of Solitude Village – as in steps away from the ski area! Our two-bedroom condo provided a restful slumber while the cozy fireplace set the tone for our afternoon apre ski chit-chats. 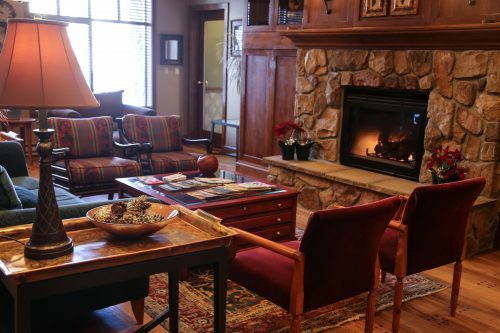 In addition to the convenient location and comfy accommodations, Solitude Mountain Resort Lodge comes with access to an exercise room, movie theater room, heated swimming pool and hot tub, ski lockers, and a small grocery store in case you forgot something. It’s like home away from home. 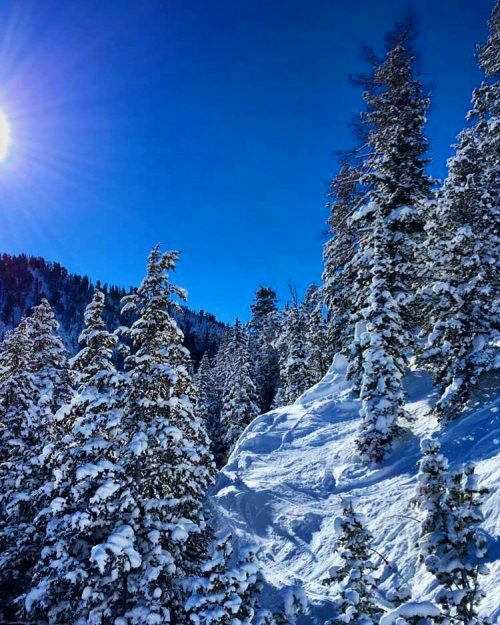 Skiing at Solitude Mountain is nothing short of amazing. 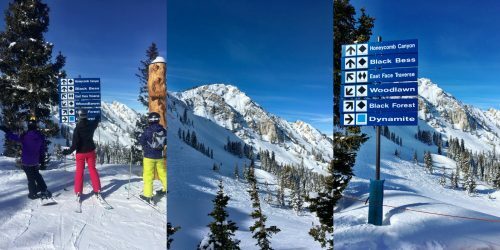 The resort is nestled inside Big Cottonwood Canyon with over 77 runs, 1,200 acres of accessible skiing, and some of the best bowl skiing around. 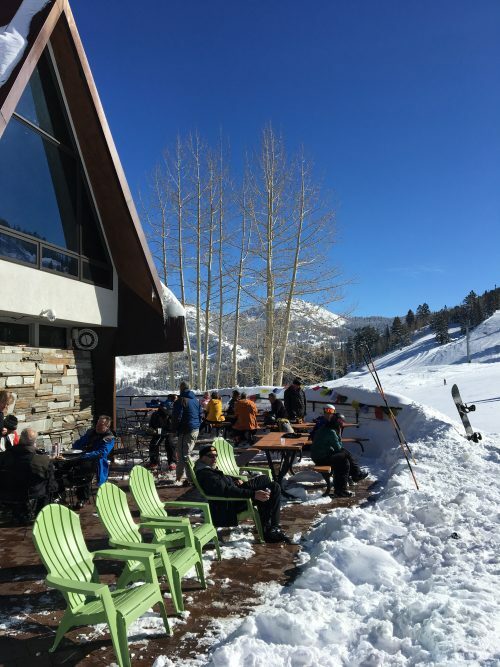 Honeycomb Canyon offers something for everyone at this laid-back resort. We made sure to have the best ski and snowboard equipment for two full days off skiing ahead. 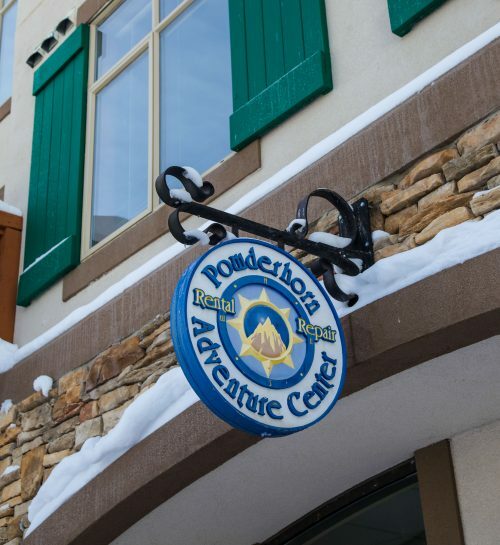 Thanks to Powderhorn Adventure Center we were armed and ready to crush some fresh pow. Other major reasons we choose to ski at Solitude were access to different kinds of terrain and there are no crowds. As in no lift lines! To a Colorado skier this is a breath of fresh air. We were able to ski more runs, go from one side of the mountain to the other without running into other folks, and ski fresh tracks even when it hadn’t snowed in four days. Solitude is a skier’s paradise. Like I mentioned above Honeycomb Canyon sports some of the best bowl terrain in this country. 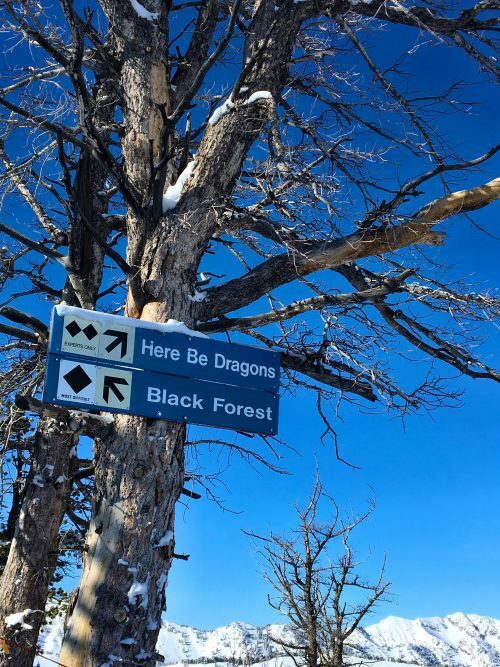 We spent 90% of our time cruising through the bowls, trees, and even attempted a famous run called, “Here Be Dragons.” If you are of the curious type, there are chutes you can hike to in the canyon, but we left that terrain to the experts. Skiing Solitude was just what we needed to connect. Laughing and telling jokes on the chair lift, falling in the snow, and stopping to take pics while breathing in fresh mountain air, what more could a girl want? If your gaggle of girls don’t fancy downhill skiing there are plenty of other activities to enjoy. Solitude has a wonderful Nordic center where you can cross country ski or snowshoe over 20km of trails. Also, there is a lovely ice skating rink located in the center of the village where you can practice your figure eights. If you are looking for more rest and relaxation on your trip, don’t miss the Solitude Mountain Spa. Being pampered by a massage therapist with a luxurious body treatment, you can’t ever go wrong! You would think given the relatively small population of Solitude dining would be limited. Think again! 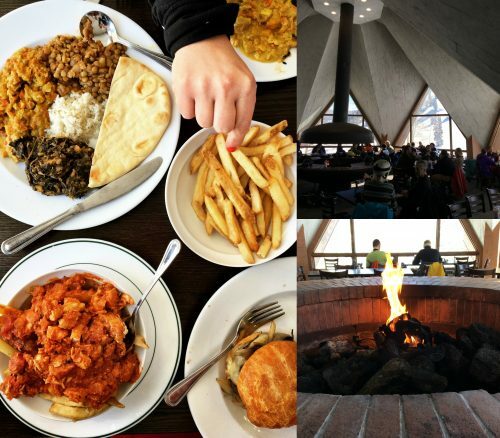 I’ve done my fair share of traveling and the food at Solitude Mountain Resort is on point. Our first culinary stop was on the mountain itself. Roundhouse is as exactly as it sounds – a round house complete with a cozy fire pit and sweeping views of the ski resort. 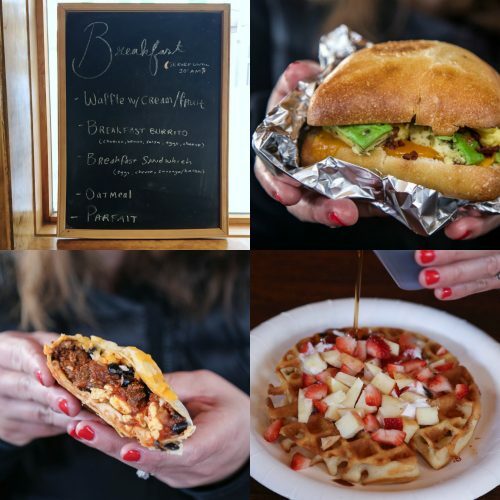 Located just off Boombean and Eagle Express lifts this Himalayan and Wasatch inspired mountain food will not only feed your belly, but also warm your soul. Lunch items not to miss are vegetable curry, cheeseburgers and poutine fries! And if you have a moment, sit outside on one of the bright green Adirondack chairs to soak in that Utah sun! This is the local’s favorite joint complete with live bands and lots of legroom to rest those tired feet. 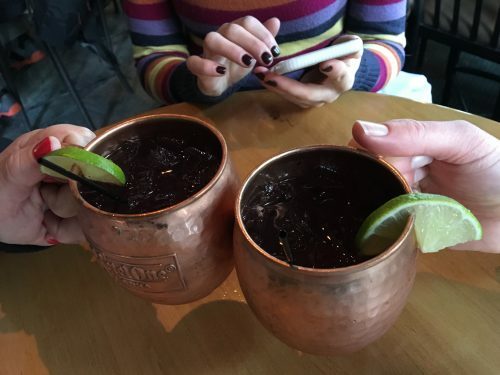 After a long day doing laps in Honeycomb Canyon nothing beats a cold pale ale or one of the Thirsty Squirrels famous Moscow mules. 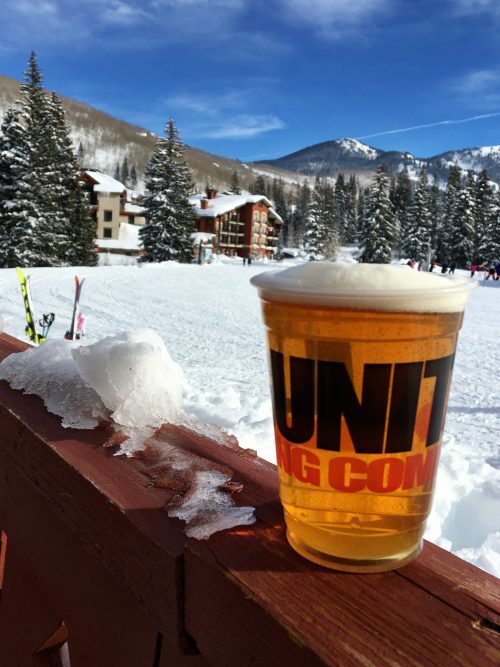 Located in the center of the village this happy spot is conveniently located by the lift so you’d be hard pressed not to pop in for a pint. Honeycomb Grill is a delicious restaurant serving contemporary cuisine. 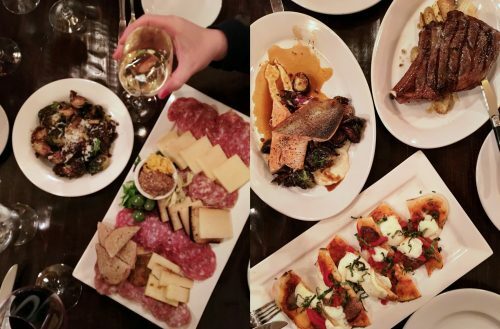 We fell in love with their wine selection, charcuterie board (that could feed an army! 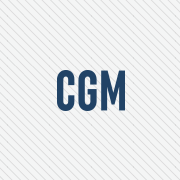 ), and large plates of steak, pizza, and trout. With views of the stars shining over the mountains we shared our dinner selections and left the grill feeling happy and content. After skiing so much pow, we decided to take one morning a little slow. At Stone Haus Pizzeria and Creamery we were able to grab a late breakfast of egg and avocado bagel sandwiches, French toast, and breakfast burritos. 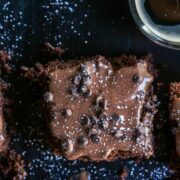 They also serve lunch and dinner with great options for gourmet pizzas; and, don’t forget to top it off with dessert options from the delectable ice cream menu. We decided to have our last apres ski experience at the Last Chance Southwest Grill. 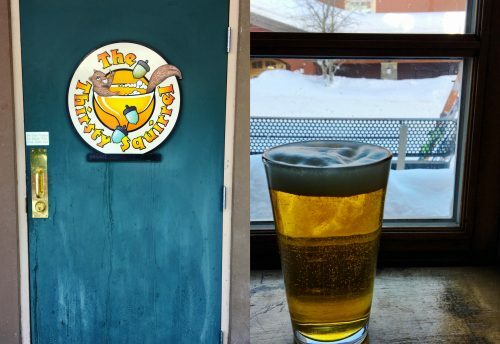 As an outdoor patio enthusiast, Last Chance Southwest Grill offered the perfect scene to sit outside under the warm sun, sip a cold beer, nibble on homemade cookies or nosh on one of their delicious tacos. Right by the Apex lift, this is a worthy stop before heading home. 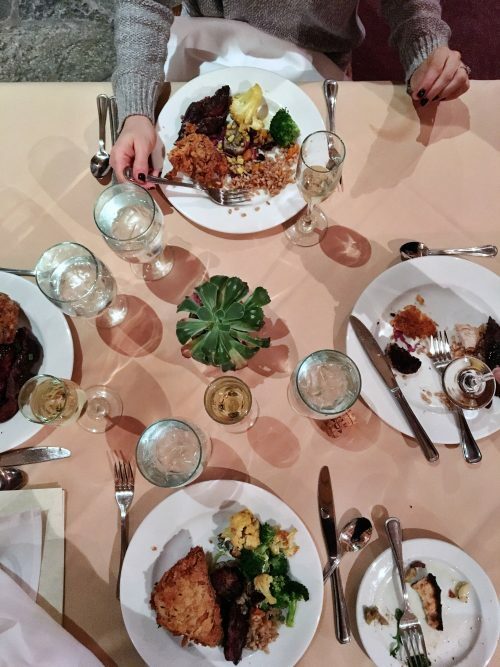 The piece de resistance when it comes to dining at Solitude Mountain is at St. Bernard’s. 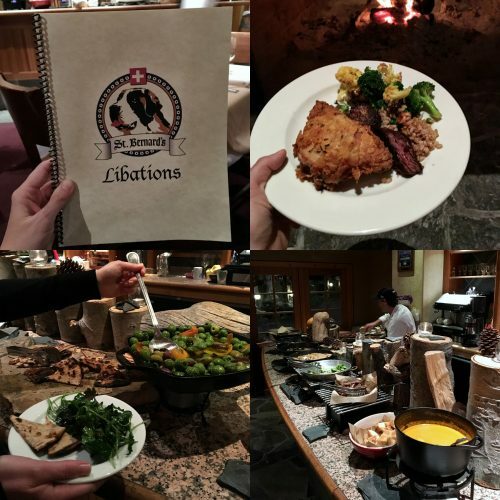 This Europe style cuisine is served via an elegant buffet by a delightful fire. We dined on fresh salad, warm olives, steak, seasonal soups, fried chicken (!!) and the best homemade desserts. If you want to end your trip on a culinary high point, St. Bernard’s is where it’s at. And that’s a wrap on our girls’ getaway to Solitude Mountain. A big thanks to Solitude for hosting us Colorado gals for the weekend. We can’t wait to come back! If you are planning a trip, what better time than spring break! Until next time, Utah! Thanks Lauren for letting us come with you! It was AMAZING, this is my new happy place! Pow Pow everywhere even though it had not snowed for several days. There were so many untouched nooks and crannies, which is unheard of in Colorado. I had the happiest belly the whole weekend and St. Bernard’s was my absolute favorite. Annual trip!? Heck yes!! Let’s go back again! Ladies…listen up! This trip was unreal. 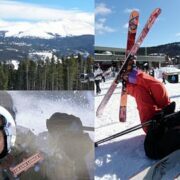 I have lived in Colorado for 11 years, and I have been spoiled with access to some of the best resorts in the nation. Well, my lovely Colorado, Solitude is now my new favorite place, and our trip is in the books as one of my favs! No lift lines (yes, I said no lines?! ), breathtaking views, and terrain like no other. I could not get enough of the endless tree trails, and the room to actually fly (really I was flailing). The food was delicious and St. Bernard’s had the best fried chicken and scallops. Hospitality was on point, and I cannot wait to go back. Lauren, thank you for an incredible trip, and this better be an annual event without hubbies! Solitude Mountain Resort left me with a PERMAGRIN!!! This place was lights out amazing and really knows how to treat a lady. 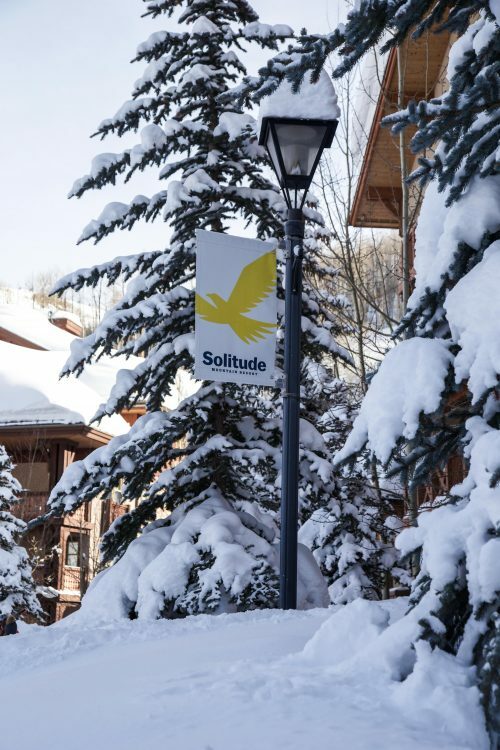 Solitude has it all… mountain side lodging, on point all mountain ski demos, fresh pow through acres and acres of treed terrain, and no lift lines! My heart was already a flutter and then we checked out the apres ski game. Can anyone say lemon berry moscow mule, prosecco, and pinot noir three time fast and not smile? Me neither 🙂 When in Solitude you MUST treat yourself to a charcuterie board, rainbow trout, scallops, and fried chicken. The dinners were some of the best I’ve ever had! Lauren, thank you for taking us on a girls trip to die for! Solitude was the perfect choice for us. My heart, my belly, and my prosecco loving tongue will cherish the memories that we made in Solitude together forever! I want to go back tomorrow!